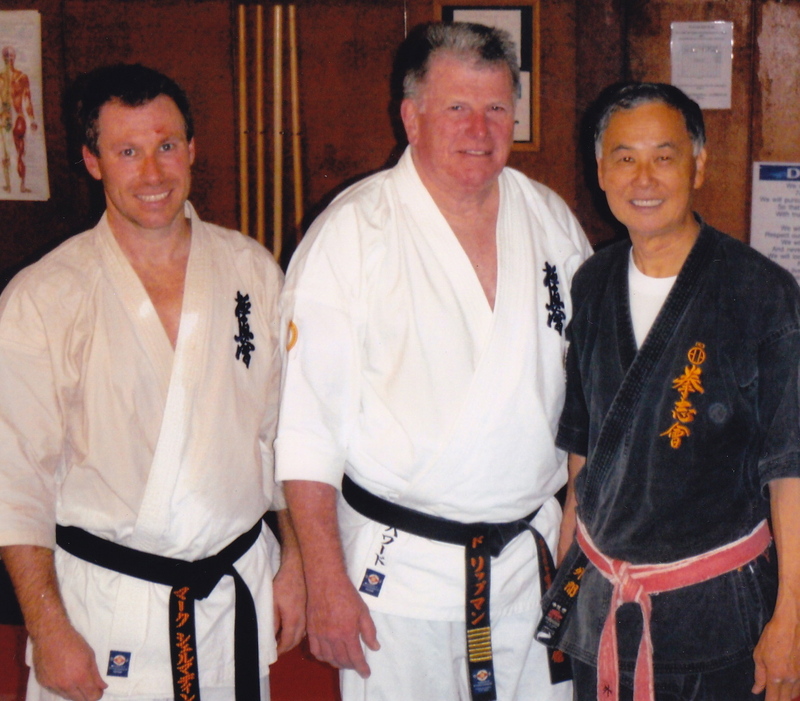 Shihan Cunningham and I invited Sensei Hokama to come to Sydney in February of 2009. He happily accepted the invitation, and came for eight days, during this time he stayed in my home and we had many long discussions. 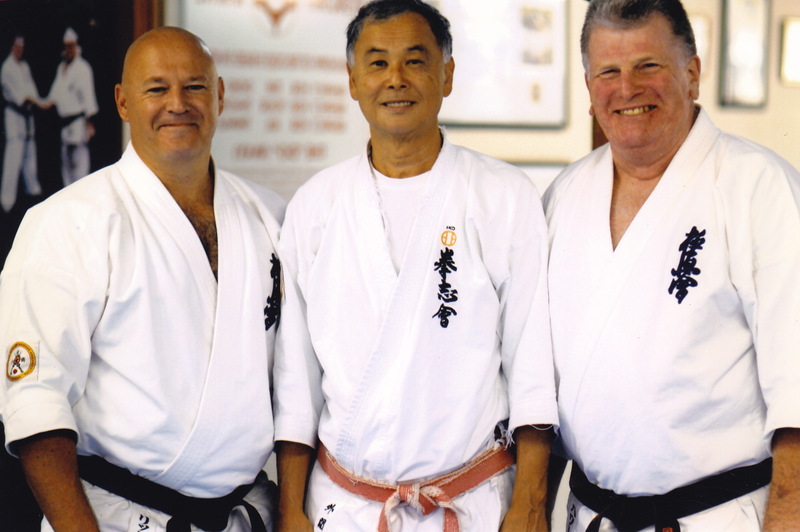 The purpose of us inviting Sensei to Sydney was to show him our Dojos, introduce him to our students, and for him to see firsthand the progress they had made in their study of Kobudo. 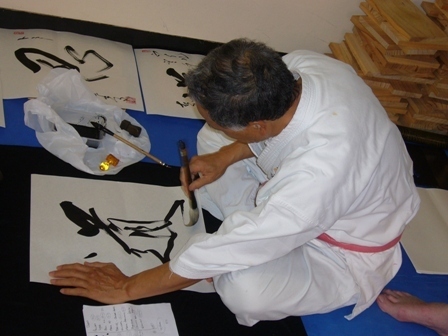 During his stay Sensei attended one of the Knox Grammar School classes and as expected proved really popular with them. 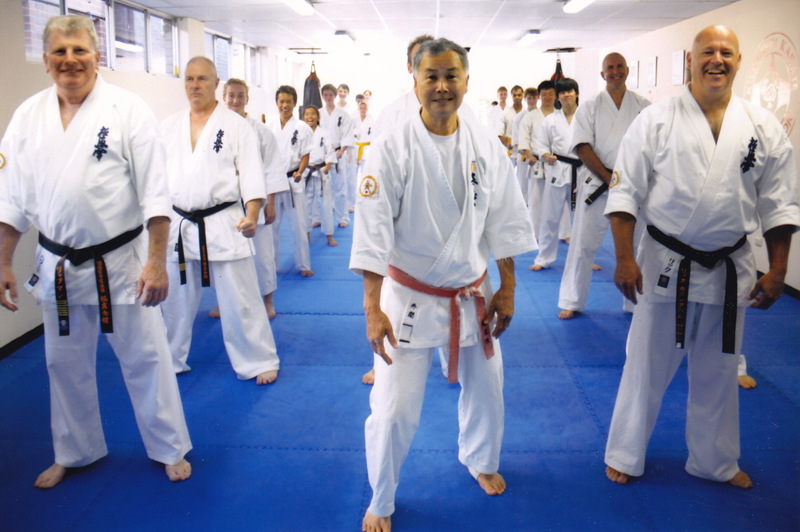 He took three general classes at Turramurra Dojo based on Kata Bunkai, Gyaku Te and Kyusho techniques. 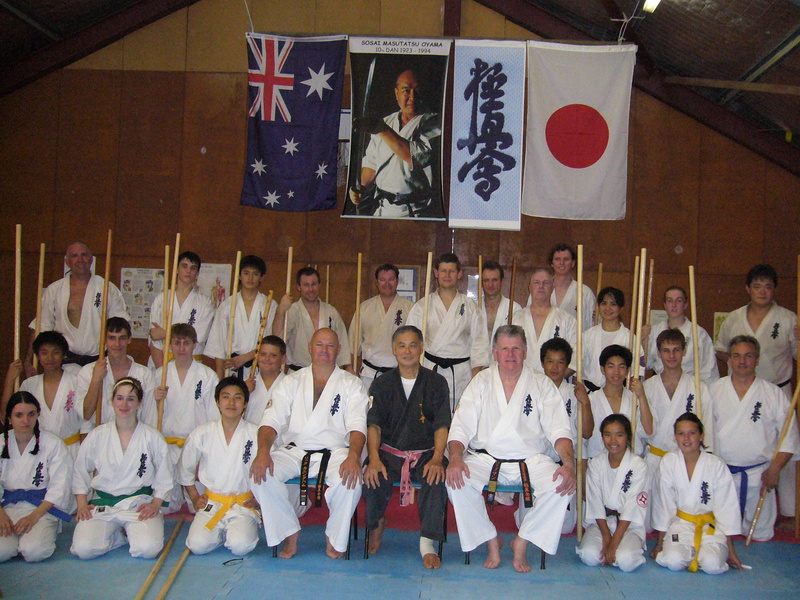 His last class was held at Annangrove Dojo and was devoted to Bo Jutsu, this class again proved very popular and the students’ knowledge went up a notch. 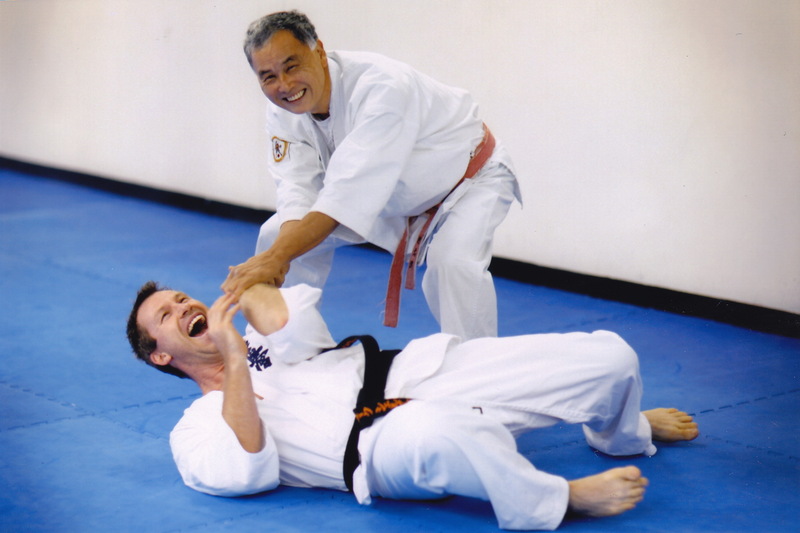 Everyone enjoyed being with Sensei as his instruction is always interesting and his manner towards everyone open and friendly…..as is the Okinawan way.